With over 80 years of experience, the Woolacotts Engineering team understand the importance of utilising new and emerging technologies within engineering practice to increase efficiency and deliver the best results on projects. Woolacotts have integrated traditional documentation with specialised Building Information Model (BIM) design content to produce BIM to Level of Development (LOD) 300, suitable for consultant co-ordination and tendering documentation. We have extensive experience in collaborating with architects, structural, civil and services engineering consultants, using Autodesk Revit and AutoCAD Civil 3D for the co-ordination of structural, civil, hydraulic and fire designs. Our use of BIM has been adopted in accordance with Industry best practices and NATSPEC BIM Guide and gives us a leading edge to the design and content we deliver on our award winning projects. Brett leads a team of CAD drafting professionals who are all trained experts in the use of Building Information Model (BIM) and Level of Development (LOD) technology. Structural Revit models to LOD300 which can be easily integrated into Architectural documentation. Structural reference models exported to IFC format for construction services such as Steel and Precast concrete fabrication. Site definition to MGA coordinates, to allow interoperability with civil designs and surveyors. Autodesk Civil 3D Bulk Surface and Design Surface model. 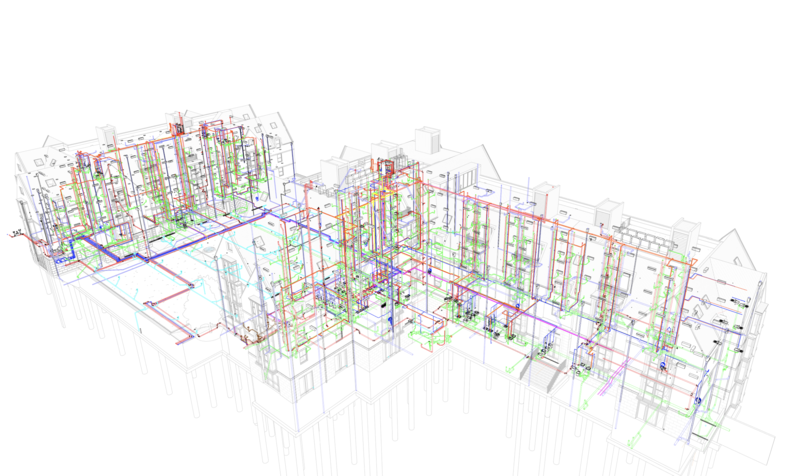 Outputs in DWG, TIN, DEM for contractor and surveyor reference. Stormwater and Surface Topography Revit Models to provide accurate in-ground services coordination with other services consultants. Featured above: A recent BIM structure modeled for St Paul’s College – Camperdown. Extensive experience with Plumbing contractors to provide coordinated Hydraulic services models for construction use. Understand the importance of coordination and clash detection and the value it can provide when done correctly. Provide input in the coordination process to provide highly coordinated services models. If you’re interested in learning more about our BIM capabilities and experience, contact, Brett Jovanovich.